I have been using the Living Cookbook recipe software for some years now. When I was first thinking about computerizing my recipes the most popular recipe software was MasterCook, But at the time it was between owners and not supported, so I went with Living Cookbook. Now the opposite is the case. I really like Living Cookbook. 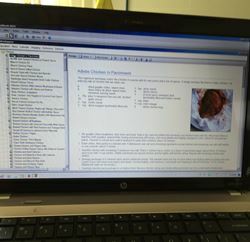 I like the format the program uses to print out the recipes and I like the way I can search on any number of criteria. However, Living Cookbook hasn’t issued an update since 2014 when it released Living Cookbook 2015. I would periodically check the web site to see if there were any updates, but there were none. Then the web site was gone. I worry about the accessibility of my data should something happen to the software or should my laptop give it up. Based on suggestions from folks in my kitchen appliances and pressure cooker Yahoo groups, I downloaded trial versions of both Paprika and Cook’n. Both support the import of Living Cookbook data, but I didn’t like the look and feel of either and I didn’t like the format of either for printing recipes. That leaves MasterCook, which does not provide a trial version, but does seem to have a pretty straightforward user interface. Really, I don’t want to spend the money for a new program when I like Living Cookbook so much. But the question, again is what about the accessibility of my data in the event of a problem? MasterCook allows you to import a Living Cookbook database by using a third-party program called cb2cb (that is CookBook to Cookbook). I can export my Living Cookbook database to an .fdx or .fdxz format and use cb2cb to convert it to the latest MasterCook .mz2 format. So here’s my plan. I’m going to keep using Living Cookbook, but whenever I add a recipe I will export .fdx and fdxz files from my laptop to my desktop. That way, if something goes south I can buy MasterCook and still have all of my recipes. Not optimal but workable. But Living Cookbook, did you have to leave without saying goodbye?